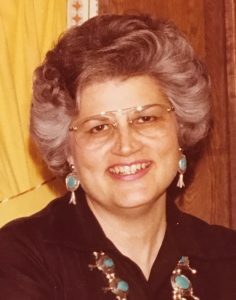 Lois (Gibson) Jacobs, of Houston, Texas, formerly of David City, died Friday, May 18, 2018 in Houston. Funeral Service Wednesday, May 30, 2018 10:30 A.M.
in Montgomery, Texas on May 18, 2018. She began her life on September 16,1933, born to Lester and Marie Gibson in David City, Nebraska. She grew up in David City, graduated from David City High and attended the University of Nebraska in Omaha majoring in fine arts. Art was her lifelong passion and path in life. It was along this path that she serendipitously met the love of her life, Dennis Jacobs. Lois had returned home to David City from UN and took up various jobs, one of which was custom painting crash helmets and door designs on stock cars. Dennis raced these cars and one thing led to another! Lois and Dennis married on August 25, 1962. They soon moved to Las Cruces, New Mexico where Dennis completed a BS in Mechanical Engineering from New Mexico State. While in New Mexico they had one sweet daughter, Nyla. With Dennis employed in the oil industry, the family moved from Las Cruces to Monahan’s, Texas then to New Orleans, Louisiana then settled in Houston, Texas in 1972. Lois continued her art wherever they lived creating many beautiful paintings, ceramics, porcelain dolls, and more in her home studios. She and little Nyla shared many hours together at regional and local art shows giving Lois the opportunity to share her work with others. Lois willingly shared her art talent and knowledge by teaching classes in her home studio. She loved doing this. Lois was also an excellent seamstress, like her mother, and an outstanding cook! She loved animals and always had at least two dogs yapping around the house. A house without a dog is not a home, She definitely made the house a home with all her talent and love and dogs. In her “off-time” Lois enjoyed listening to 40s, 50s, and 60s music, watching old re-runs on TV, crocheting, and in her later years, also the internet and Facebook to keep up with friends and family and politics. Friends and family were always very important to her and she always looked forward to visiting David City every summer with Dennis and Nyla to catch up with everyone. To Lois there was no place like home. Now she is home to stay. Lois is preceded in death by her husband, Dennis; her parents, Lester and Marie; and her sister, Fern. She is survived by her daughter, Nyla Jacobs; sister-in-law, Beth Bjorling; nephew, Vince and niece, Susan; cousins, Dorothy Barlean and Ruby Meck. 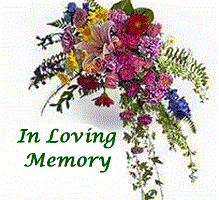 In lieu of flowers please make memorial donations in Lois’s name to PAWS, Performance Animal Welfare Society, www.pawsweb.org.